Fruits and vegetables are an important part of a healthy diet. However, one third of fruit and vegetables are lost after harvest every year. Most losses are caused by pathogen (mostly fungi) infections, which lead to postharvest decay. In addition, some postharvest fungal pathogens can produce toxic secondary metabolites (i.e. mycotoxins) during their infecting periods. Mycotoxin contamination may cause serious food safety issues. At present, the use of synthetic fungicides is still the main means to control postharvest diseases. However, the development of resistance in fungal pathogens to fungicides and the growing public concern over the health and environmental risks associated with high levels of pesticides in fruits and vegetables have urged researchers to develop alternative methods of disease control. A deeper understanding of the infecting mechanisms of postharvest pathogens will provide great insight into developing new controlling strategies. 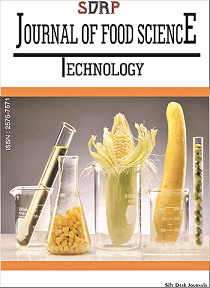 This Research Topic focuses on advances in postharvest pathology of fruits and vegetables. Articles to be published in this Topic (original research articles, opinion, and reviews) may investigate or discuss the following (but not restricted to) issues: (i) Infecting mechanism of postharvest pathogens before and after harvest, (ii) Interactions between pathogens and hosts, (iii) Mycotoxin biosynthesis and regulation in postharvest fungal pathogens, (iv) Alternative methods for controlling postharvest diseases and/or mycotoxin contamination. For research regarding alternative methods, involved mechanisms should also be addressed.